Modified sine inverters offer a low-cost option for transferring power from direct current, or DC, to alternating current, or AC, letting you run household and other appliances with battery power, which may be supplied by solar power, by gasoline- or other fuel-powered engines or by other charging methods. 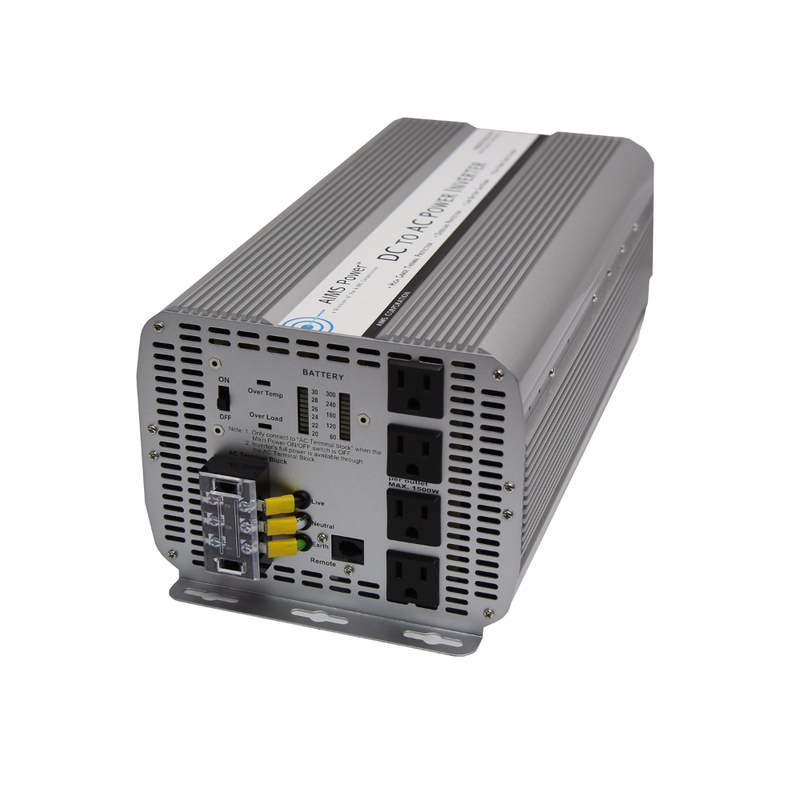 AIMS Power offers a big selection of modified sine inverters. Our AIMS inverters are available in 12V, 24V, 36V and 48V versions, giving you a wide variety of choices to suit your situation. Although modified sine inverters are cheaper to buy than pure sine inverters, you should not attempt to use them with all appliances. 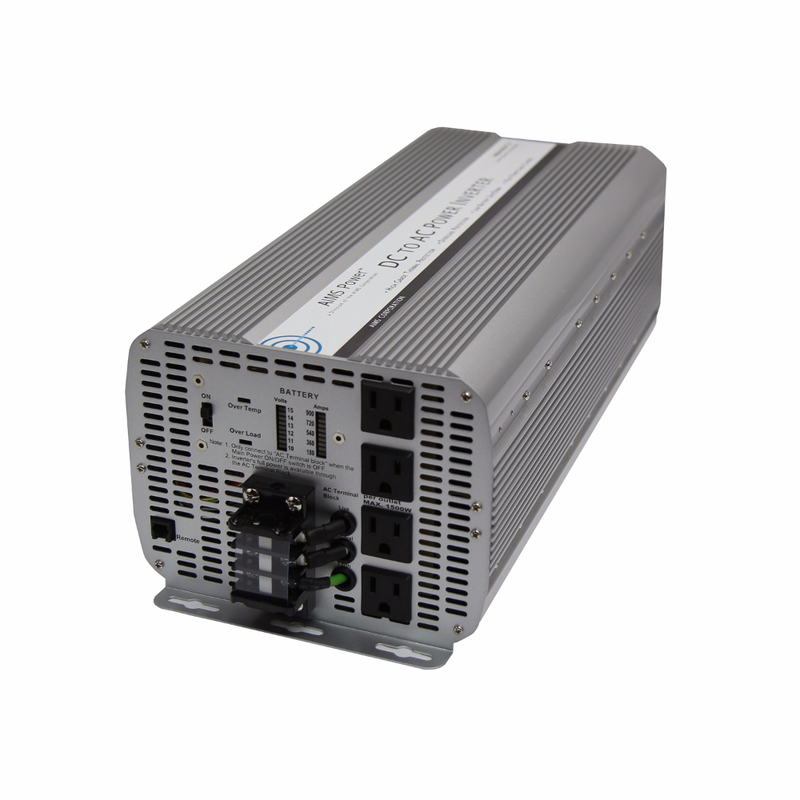 Modified sine inverters produce a blocky, squarish electrical output, compared to the smoother, more seamless electrical output produced by pure sine inverters. Some tools, devices and appliances will run less efficiently on modified sine power, while others won't run at all. Microwaves, medical equipment and electronics are a few examples of equipment that shouldn't be used with these inverters. For that type of equipment, pure sine inverters are a better choice. Modified sine inverters are best for simple appliances, such as vacuum cleaners, water pumps and blenders. 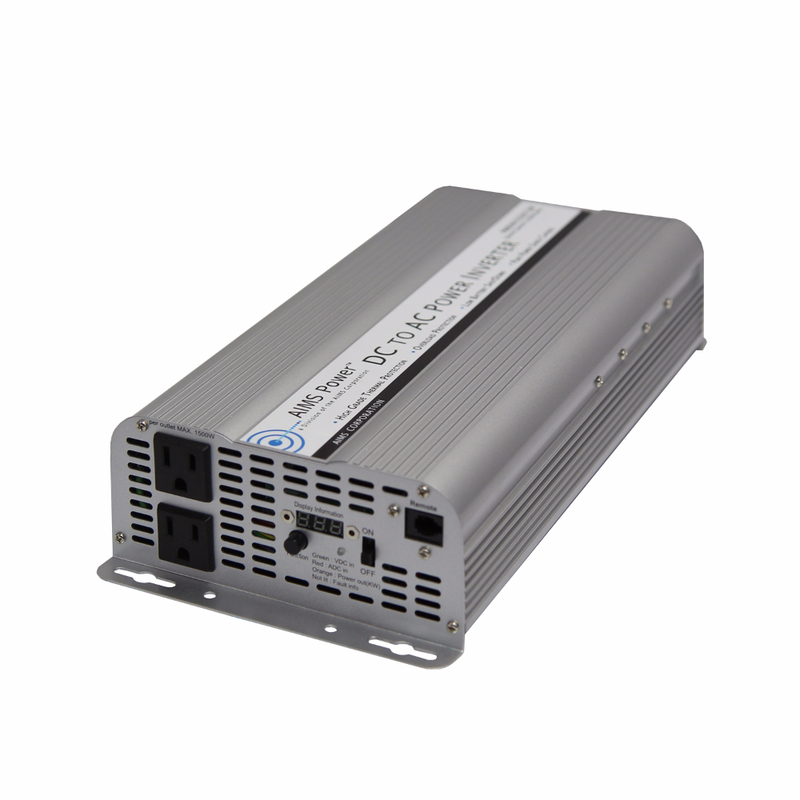 If this type of inverter meets your need, you can find an AIMS inverter that's right for you with a few clicks. In addition to your choice of voltages, we offer a wide range of wattage options. Our 12V selection includes 100W inverters as well as a 120W power inverter that is the size of a beverage can and can fit in a vehicle's cupholder. The 12V versions include models that can handle up to 10,000W. You can find 24V inverters with wattages up to 12,000W and 36V and 48V inverters with a selection of other wattages. Models like our AIMS PWRINV5K24012W are ideal for mobile offices, mobile kitchens or running tools on or off a work truck. Some of these inverters are ETL listed to UL458 standards. These are also CSA certified to CSA 22.2.